Video conferencing is not just about video. It’s about sharing ideas, emotions, and purpose. 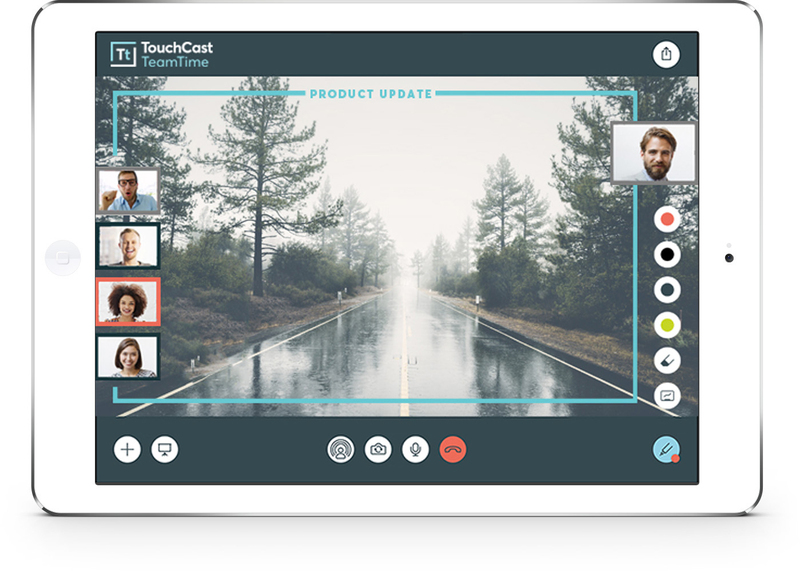 Take video conferencing to a whole new level with TouchCast TeamTime. 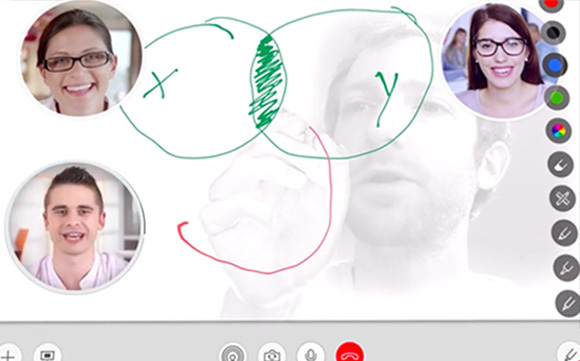 Shared whiteboard—Your entire team can draw and discuss together for the ultimate brainstorming sessions. Shared presentations—Viewers can explore and interact with presentation materials such as slides, documents, and files. Shared media—Videos, photos, and web pages can also be shared by everyone. 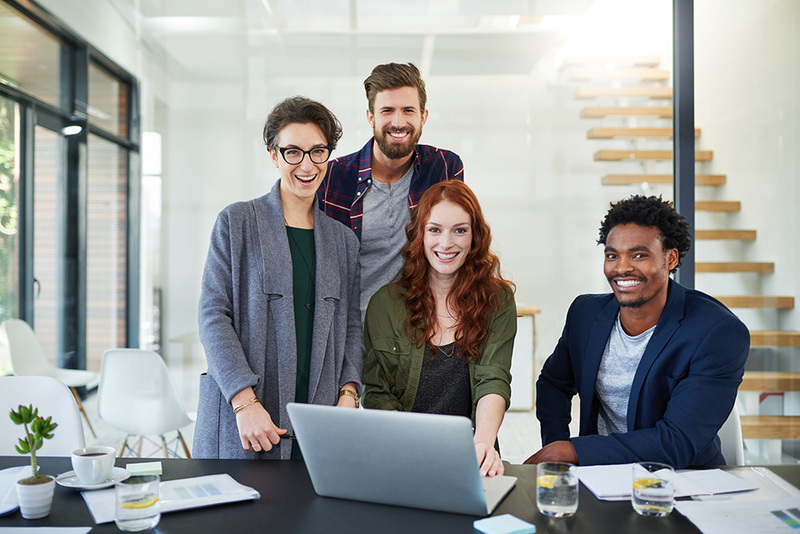 Shared purpose—Put it all together, and you have a new video collaboration platform to help your team achieve its goals. TouchCast TeamTime is the most advanced video conferencing platform you will ever experience. With Smart Video at its core, you can do things that simply are not possible any other way. 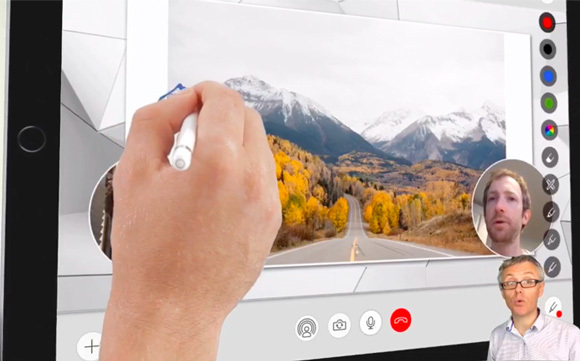 Collaborate with your entire team on an endless, digital whiteboard. Share files, documents, and presentations with participants during each session. Bring in media such as videos, photos, and web pages. Up to 12 presenters per call, unlimited viewers. Stream live to a broader audience. Record and archive any session. Find and play back any part of a previous meeting with video transcription and smart search. Designed for mobile, but desktop-ready. With TouchCast TeamTime, everyone looks crisp in HD video. Everyone can explore the presentation materials or draw onscreen in realtime. Everyone can contribute—no permissions needed, no frustrations, no delay. Brainstorm, present, and gather input from everyone on your team so you can work smarter together.